Whether you have just bought a new apartment or whether you want to refurbish your home, importance should be given to the choice of furniture you have to make. In that context, wood furniture is a popular choice among many people. For many years, manufacturers have continuously brought wood into use for making furniture. The reason behind this is that the demand for wooden furniture keeps on growing year after year. In particular, oak wood furniture is one-of-a-kind furniture that people have loved throughout. There are various reasons for choosing oak furniture for your home as well as workplace. Apart from its functionality, oak furniture has ideal characteristics that make it a perfect decoration piece too. Let us see why purchasing oak furniture is worth it. Good lifespan – Oak is a durable wood. It is stronger when compared with other kinds of wood. This feature makes it resistant to damages for a very long time. In fact, marks and dents on oak furniture would be a rare case. All these help in extending its lifespan and you will be surprised to see how long-lasting it can be. Easy to craft into different shapes – Just because oak is sturdy does not mean that it is not versatile. Manufacturers find it easy to shape oak wood into a plethora of designs. It can be bent and curved without any trouble, thereby providing the customers a wide range of oak furniture options to choose from. 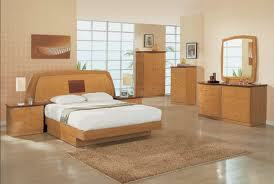 Portrays stylish appearance – Oak furniture sets reflect luxuriousness. Such furniture pieces make for some of the most stylish furnishings. What is good is that you have many options when choosing for its color. From vibrant auburns to medium browns to light golden shades to what not! There are more than 500 oak species and depending on which type of oak has been used, you will get to see some amazing colors in oak furniture pieces. In addition, its grain patterns are an attractive feature as they form some amazing designs. Little maintenance needed– Once you purchase oak furniture, you will be glad to know that it is very simple to maintain them. Be it beds or tables or chairs, nothing much is required to take good care of it. Ideal for both indoors and outdoors – While oak furniture enhances the beauty of the interior, it is appropriate to set them up outdoors too. The best thing is that they are weather resistant. This enables them to retain their appearance without being affected by adverse weather conditions. Unlike most of the other wood types, they are also resistant to pests. That is why they are generally considered the best furniture for garden as well. Although, oak is a bit expensive, it is definitely cost-effective. Moreover, it is a great option to buy oak furniture because it is likely to last longer than other furniture pieces. So, you can be assured that investing in it would prove to be beneficial in the long run. Take Your Pick – Online Shopping Or Shopping From A Store? Why Buying Outdoor Furniture Is Worth It?